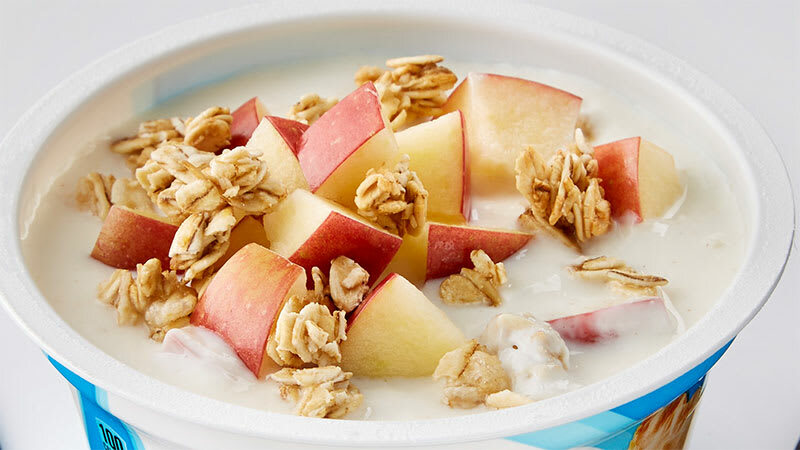 Eat about a tablespoon of yogurt out of the yogurt cup. 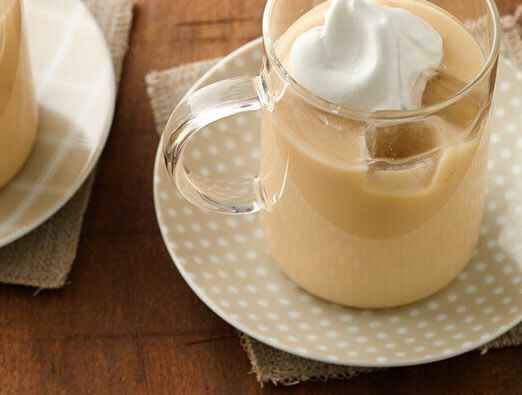 Stir brewed coffee and caramel sauce into yogurt cup with fork until smooth. 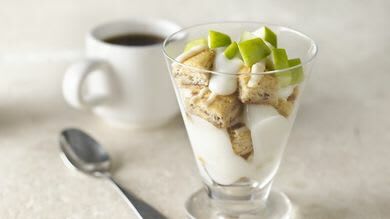 Add ice cubes, and top with topping. Enjoy! 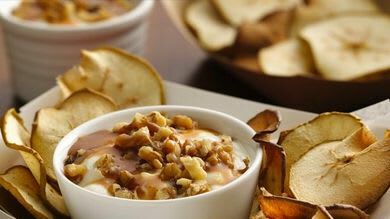 Drizzle with more caramel and garnish with a chocolate-covered coffee bean just before serving.